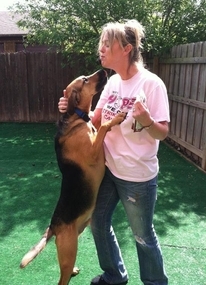 "Hubbard Pet Resort really takes extra loving care of our dog." When we say we'll treat your pet like our own, we mean it! Thanks, Marilyn. "Rascal always looks and smells like such a 'pretty boy' when he leaves HPR&S." We love it when Rascal is here. Keeping him groomed and happy is important to us! "Awesome place! Our pet loves it more than our home." Consider it their "home away from home" -- we sure do! "Of all the kennels we have tried, Dexter likes this one the best!" There are kennels where animals are caged and fed, and there's Hubbard Pet Resort, where Dexter and other guests are cared for with love and concern every day. Glad Dexter likes us, Kim, because we sure love him! "I love this place! It's affordable and the staff are really nice. On my dogs first day, she didn't want to come in. Now when we pull up she is frantic to go in. She loves it!" We love to hear stories like yours, Courtney! Our customers can leave their pets with us and know they'll be in good hands. "Rosie loves Hubbard Pet Resort & Spa. She always leaves happy." Thanks, Shannon! Rosie's great, we love seeing her! "I recommend this place to everyone! Chase loves it!" "Nikia enjoyed her stay very much. 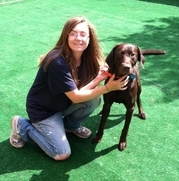 I think the Hubbard Pet Resort & Spa did a great job in taking care of our beloved family pet." Thank you, Bruce -- Nikia was a wonderful guest! We're not happy unless our customers and guests are happy. We're glad to know you and Nikia are! "Maya loves it here and so do we! We won't take her anywhere else!" Well, we wouldn't think of it either, Tom! Maya is one of a kind, with a personality all her own. We love having her here! "The kindest most caring staff that you will find anywhere and the most dedicated owner I have ever seen! You know as soon as you walk in the door your pets are in great hands. They all go above and beyond." our precious guests (and vice versa) and it shows! "I will tell all my friends to come here when they need someone special to take care of their 'babies.' Thank you so much for making our first boarding experience WONDERFUL!" Candace. We look forward to seeing Miko and Keeda again soon! "I was amazed at how wonderful your facility is kept. Sam did not want to leave. The Catio is just simply beautiful! The big test was how Sam acted when we got him home. It was as if we never left. He was so calm. I have been recommending Hubbard Pet Resort to all of my friends who have pets. I took the time to research the other pet keepers in the area and no one comes up to the standard of 'Lesley's Spot.'" Thank you, Yvette. Sam was happy and playful during his stay. We're glad he enjoyed it and look forward to his future visits with us! "I love bringing my Duchess here whenever we have to leave town. She just loves this place. " We love Duchess too, Carol. We look forward to having her with us any time! "Bengi was well taken care of and seemed very content. I had no worries. Thanks again for taking such good care of my friend. It's nice to have somewhere safe and caring for your pet. " a worry-free experience; that's always our goal for all our guests at HPR! "This place is absolutely wonderful." as part of the HPR family, Tara! "Much, much love give to my animals. Awesome customer service in every way. I hope Hubbard Pet Resort is here to stay. There is no place around like this!" Our customers' furry, four-legged loved ones deserve the best, Lisa. We love caring for them every single day! "Kirby loves to come here. It's a vacation for him. Everyone is very nice." We love having Kirby stay with us. When you're on vacation, why shouldn't he be, too? "Wouldn't feel comfortable with any other resort." you're comfortable having your adorable ones stay here. That's what it's all about, Sharin. We always look forward to having Max Apollo stay with us! "Our pets are members of our family...We feel so good about your service." What you say is true of all our guests, Nicholas. Pets ARE part of our families, and they deserve loving, caring attention, 24/7! We're happy to hear you say that, Marilyn. When we say we'll treat your pet like our own, we mean it! "Rascal always looks and smells like such a 'pretty boy' when he leaves HPR." We love it when Rascal is here. Keeping him groomed and happy is important to us! Glad he likes us, Kim, because we sure love him! Thank you, Bruce -- Nikia was a wonderful guest! We're happy when our customers and guests are happy -- and we're glad to know you and Nikia are! That's because we have such great guests! Thanks, Patty. "Thanks for taking such great care of Lucy, while she missed the beach this year, she enjoyed her time here at Hubbard Pet Resort." We're glad you enjoyed your vacation -- we like to think Lucy had a vacation all her own during her stay! We look forward to seeing you again soon! online reviews from our HPR Facebook page!